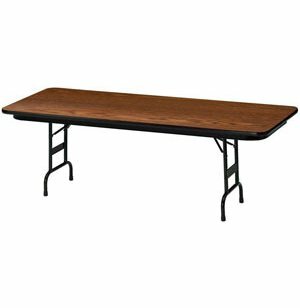 Laminate Top Rectangular Folding Table 72"x24"
Reliable banquet tables are worth the investment if you host celebrations and special events. These folding tables seat six and are ideal for both educational and professional settings. You can never underestimate the usefulness of a great folding table. These folding tables will maintain their strength and versatility for many years. Their high-pressure laminate tops are supported by tough 18-gauge steel pedestal legs with an exclusive rigidity brace that prevents buckling under excessive pressure. The flexibility and convenience that come with these sturdily-built models can serve you well in any venue. 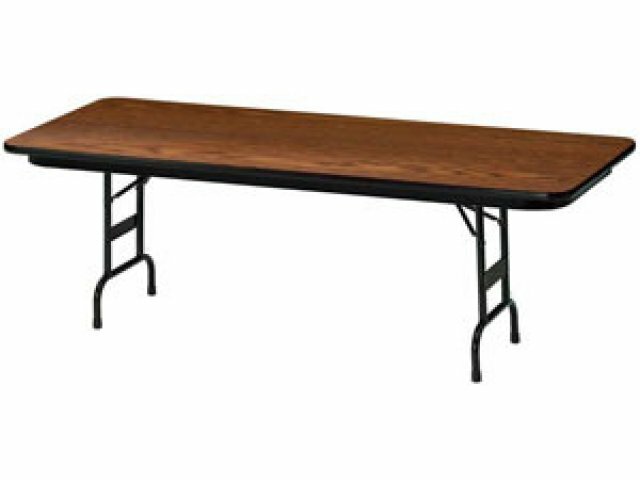 Whether you are hosting a company dinner or school dance, folding tables are the optimal choice. You never know when you might need an extra table, so having a few around is always a great idea. Sturdy Materials: High-pressure laminate tops with a particleboard core and laminated backer sheets have higher durability and longer life in commercial use. Edge Protection: Bullnose-extruded edging keeps sides smooth so your tables will maintain their luster for many years. 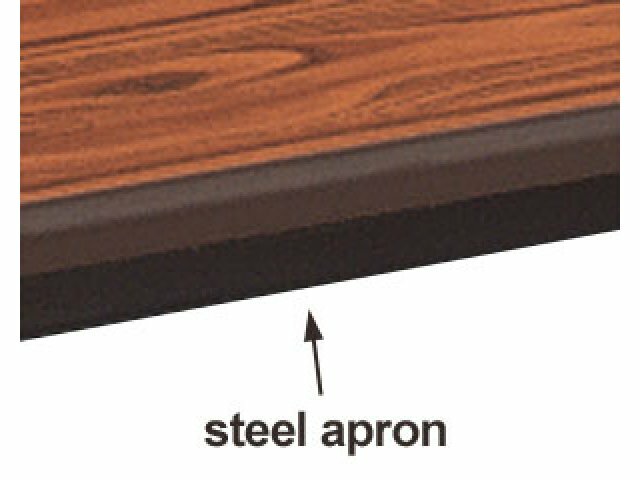 Extra Reinforcement: Tables are supported by 16-gauge steel aprons and 18-gauge steel frames with rigidity braces, which keep them standing strong even when they are carrying a heavy load. 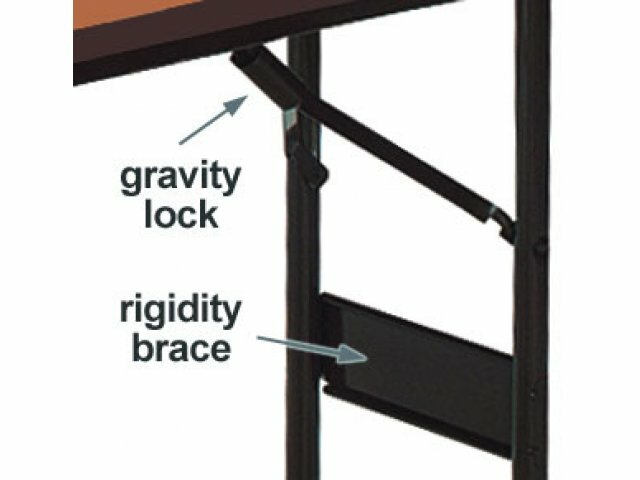 Stable Standing: A gravity lock keeps the legs in place so tables will stay in the open position until you are ready to move them.